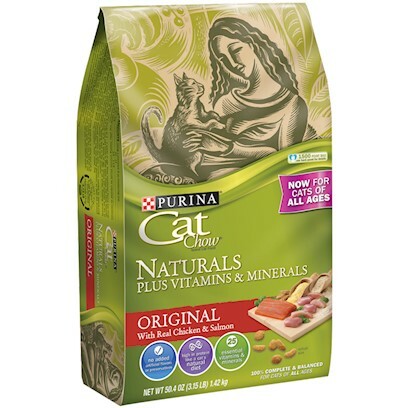 Naturals PURINA CAT CHOW is GREAT! Nemui says 2 paws up. Great Product for your "special friend(s)! Cat Chow Naturals is the Best! My cat loves Purina Cat Chow Naturals. Excellent cat food at a great price! My Kitties think Naturals is a Treat!